Senmaru Takahashi is tripping to world from this summer. Rinproject is lending bikes in Tokyo, and many foreign people use our bikes. Mark-san used a our bike in last Oct. 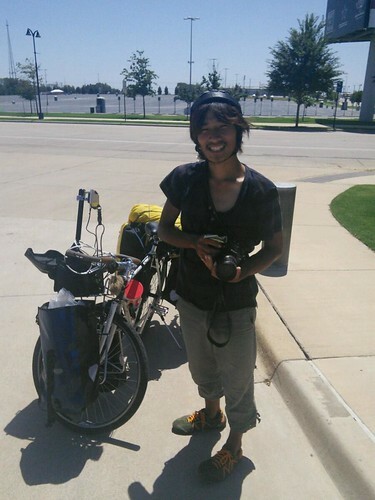 He sent e-Mail to us about he met senmaru in Dallas in this morning. It's Amazing! I can't belive that ! They met in Dallas, How small the world is ! Mark-san said that Senmaru is doing well. and He will help senmaru if he needs it. Senmaru, Keep the great work up! English translation by Mr./Ms. Google Translate.